There is nothing better than the feel of a great baseball swing and the LineDrivePro Trainer is the best hitting aid for developing a hitter’s feel for the proper bat path. Designed for hitters of all skill levels, the LineDrivePro Trainer promotes balance throughout a player’s swing while maximizing plate coverage. We know that keeping the barrel in the hitting zone for as long as possible increases a hitter’s chance of success each at bat. By creating multiple points of contact, hitters gain the ability to hit the ball to all parts of the field. 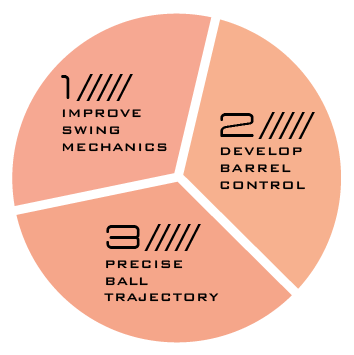 The LineDrivePro Trainer helps hitters enhance barrel control by both feeling their hands work through the zone and seeing where the ball fires as a result. A proper swing path gets in the zone as quickly as possible and manages to stay in the hitting zone for an extended period of time. The longer the barrel of the bat is in the hitting zone, the more points of contact the hitter has to get a hit. 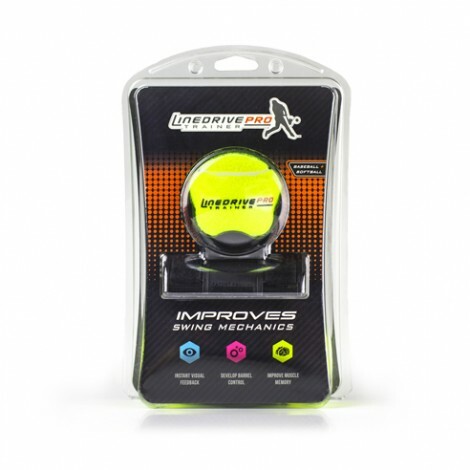 None of the other baseball hitting aids on the market provide instant feedback like the LineDrivePro Trainer. The innovative swing trainer forces hitters to correct their baseball swing to get the desired outcome. The dual teaching style offered by the LineDrivePro Trainer promotes both physical and visual training methods to shorten the learning curve of controlled directional hitting. It is the only tool you need to quickly become explosive at the plate. The LineDrivePro Trainer is a self-teaching baseball hitting aid. That is perhaps its greatest asset. In order to consistently launch balls up the middle, the LDPT forces the hitter to swing the bat correctly through the zone. 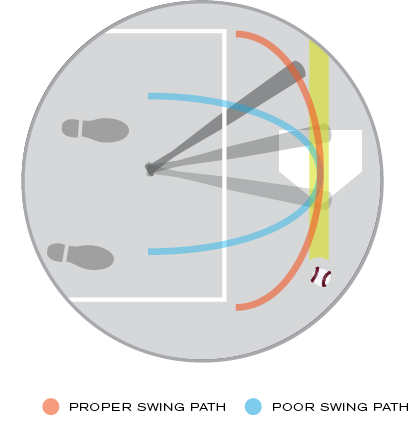 Without proper fundamentals, the patented baseball swing trainer will not allow balls to have the desired trajectory. Proper bat path through the strike zone allows for various points of contact, which helps the hitter impact the ball more consistently. Using the hitting aid correctly, forces the hitter to maintain the barrel in the hitting zone to get the desired outcome. With continued use of the LDPT, muscle memory and proper “feel” of keeping the barrel in the hitting zone are attained.